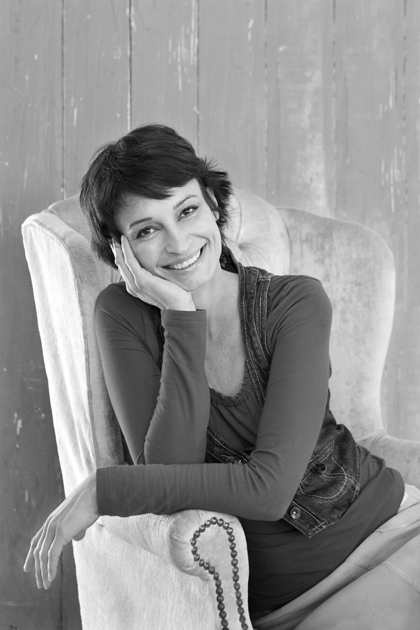 Sonia Cabano, well-known chef, cookbook author and TV presenter, now offers a series of fun, practical cooking lessons in a beautiful house in the heart of Cape Town’s Tamboerskloof. Classes are accessible to even complete novices, while still appealing enough to seasoned cooks. Sonia teaches you handy tips and shortcuts, basic techniques, how to make variations on standard recipes, chef’s secrets and meal-planning within a budget. All this and you get to enjoy the delicious fruits of your labours too! Plus you get a free recipe folder to take home afterwards, containing all the recipes you learned during your classes. During the holiday season Sonia also presents children’s cooking lessons, every Monday and Friday between 10h00 and 12h30, at R200 per child. The lessons cover everything from breakfasts, pizzas and pastas, breadmaking, baking and simple, healthy suppers for kids as well as basic kitchen safety. Adult classes can accommodate between 8 to 12 persons, with corporate teambuilding workshops available on special request. Cooking lessons also make great gifts – surprise someone special in your life with a gift voucher or even book Sonia to cook for you in the privacy of your own home! Evening classes include a welcoming drink and wine will be for sale by the bottle or case. You will take home a neat folder containing all the recipes prepared during your class. Please note that payment in full must be made upon reservation of classes, and that no refund will be made if cancellations are made. Entertaining on a shoestring budget – with the holidays upon us and purse strings tighter than we’d like them to be, knowing how to entertain within your budget is a necessary skill. Spoil your loved ones with sensational dishes that are easy to make, look fabulous and taste divine. We don’t need caviar and champagne to celebrate! Relax with a glass of wine during a fun-filled evening class in how to plan, budget and shop for a week’s worth of fabulous, easy to cook meals for one. Cooking for one allows for the occasional treat, and clever planning helps you to minimize wastage. Sonia shows you the benefits of planning ahead, savvy shopping, and how marinating saves time while boosting flavour. tailor-made COOKS’ TOURS. Stay overnight in stylish, comfortable self-catering apartments in the heart of trendy Tamboerskloof at only R500 per person per night and join Sonia in the kitchen for some hands-on cooking lessons – see curriculum above for weekday availability and fees. THE COOKS’ TOURS WITH SONIA CABANO include a minimum stay of TWO nights at R500 per person per night, and a tailor-made tour at R850 per person of shopping expeditions to select wine farms, organic vegetable farms, an olive oil producer, slow-food markets and spice merchants in the heart of historic Bo-Kaap. Weather permitting, a trip to Kalk Bay harbour for fresh fish will be included. THE COOK’S TOURS WITH SONIA CABANO includes one cooking lesson, to be selected from the day’s regular programme and charged for accordingly. Please note that a 50% non-refundable deposit is required on confirmation of booking.